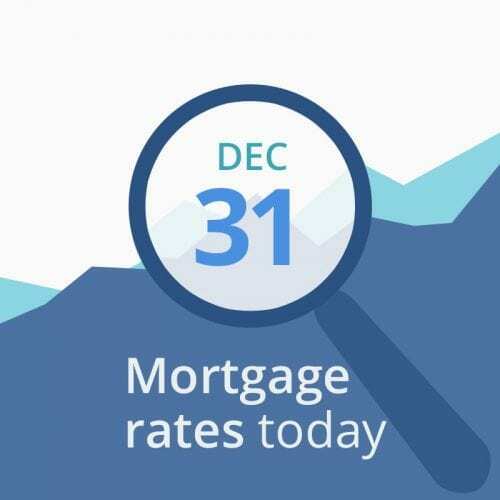 Average mortgage rates today are nearly unchanged during this holiday-shortened week. And there are no important scheduled economic releases until Friday, when the US Bureau of Labor Statistics releases its final report of the year, showing the number of jobs added and the final unemployment rate for 2018. Most numbers are still pointing to lower interest rates. But not dramatically so. If you need to lock soon, don’t stress about it. Today’s data are pretty much neutral but markets are unstable. You can probably float a day or so if that will get you into a better tier (for instance, drop from a 45-day lock to a 30-day, or a 30-day into a 15-day lock). If closing soon, current rates are attractive enough to feel good about. Lately, rates have stalled or even fallen, despite experts’ long-term expectations of higher rates overall.